• To enable student teachers to develop dedication and motivation towards lifelong learning and clear futuristic vision and aspirations for improving teaching learning process as interdisciplinary knowledge. • To enable student teachers to set high standards of professional competency, intellectual conviction and integrity. • To develop the capacity, skill and knowledge among student teachers to create and sustain environment in modern day education. • To equip the student teachers with the knowledge and skills of new technologies focusing on understanding the principles of organisational management, leadership and systematic change. • To enable student teachers examine critically the theories andconcepts of education drawn from various disciplines related to education such as Philosophy, Psychology, Sociology, Management, Economics, Science and Technology, ICT etc. in such a way that their linkages with methods, pedagogy and practices in the classroom can be enriched. • To develop the spirit of inquiry and critical thinking and skills and capacity to undertake research in the field of education. • To enable student teachers develop specialization in areas of education to emerge as educational leaders in those areas. • The Syllabus and Courses of study in the M.Ed. programme are as prescribed by the University from time to time and also governed by its regulations/statutes. • The M.Ed. course is of one year duration and is divided into two semesters. It is a 44 credit course, split into two semesters. The first semester course carries 20 credits and 2nd semester carries 24 credits. 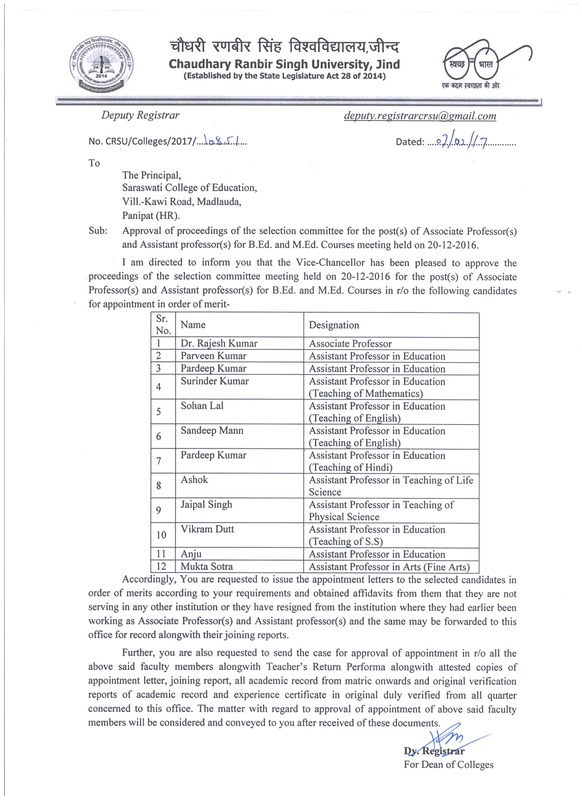 The marks for internal assessment for M.Ed. 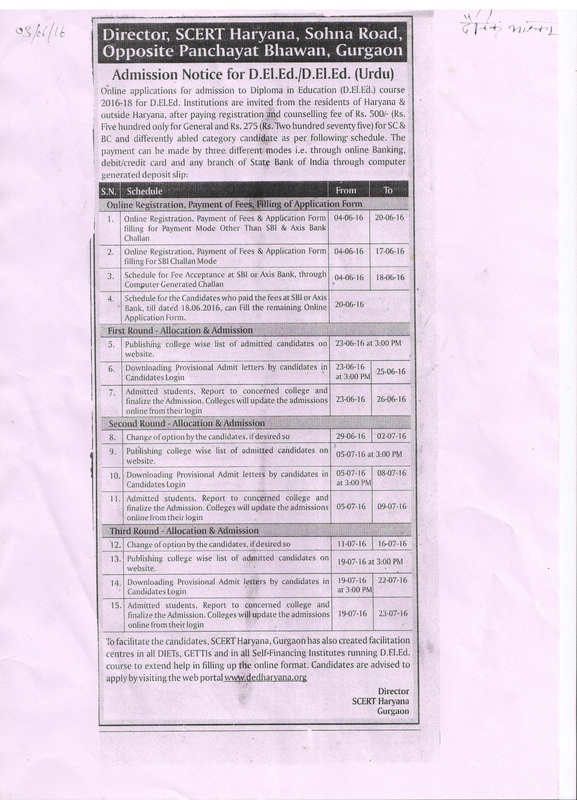 course are allotted as per the University of Jammu. The candidate should have Bachelor’s Degree in Education (B.Ed) from the University of Jammu or any other statutory university and should have qualified the entrance test conducted by the University of Jammu. 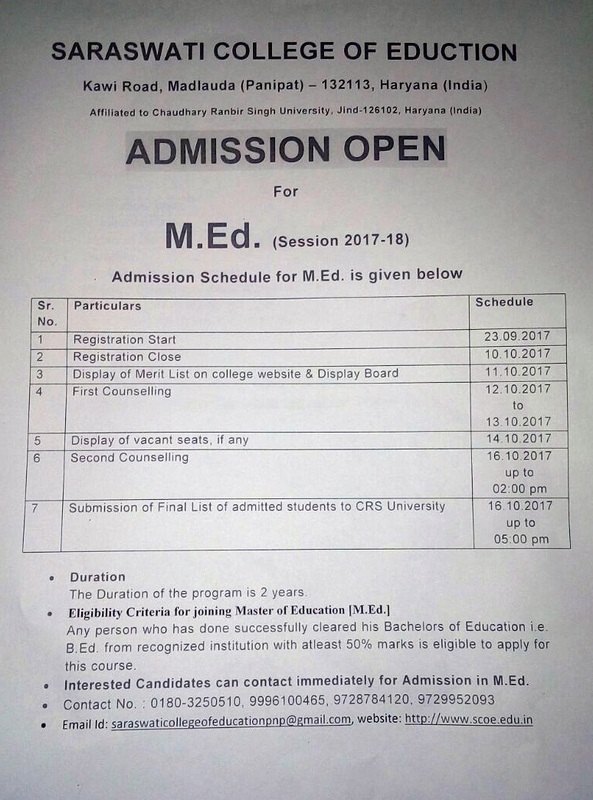 The candidates admitted to M.Ed Course by the University of Jammu are required to deposit fee and other charges as prescribed by the University, the details of which can be had from the University/College office at the time of admission. Fees and other charges are revised by the University from time to time. Difference in amount if any will have to be paid as and when demanded by the college authorities.